Happy Monday, friends! I'm still chipping away at this office space and wanting to fill you in on the progress. 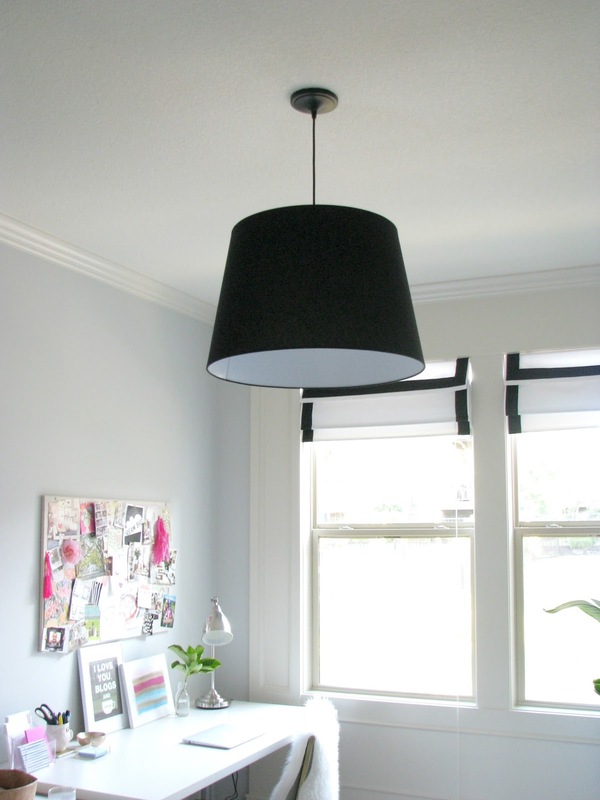 On our recent trip to Chicago, I stopped in at IKEA and purchased a few things, including this large black JARA Shade. It was already inexpensive ($29.99), but it was also on sale the day I was there ($22). SOLD! I knew I wanted a large light fixture in the office space since the ceiling is high. I thought the black would be a good contrast to the light walls and carpet and trim. This shade is 22" in diameter, so it is huge! 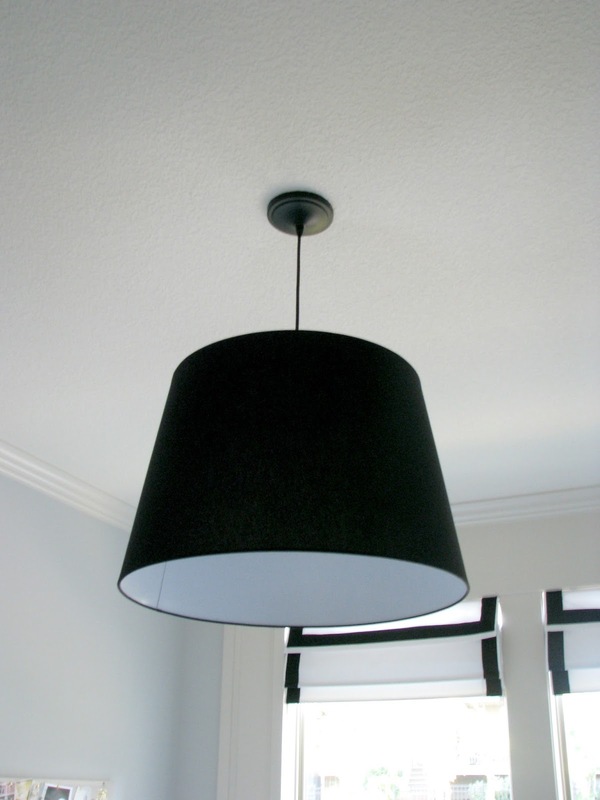 Once we were home, I went looking for light kits at Lowe's and found this inexpensive black pendant light cord for $16. Steve was able to wire this baby up for me in no time and I love how it looks! The only debate was how low to hang it. Because it is large, and my husband is so tall, we had to eyeball it until we thought it was the right length. I was nervous that the light would look yellowish coming off the black shade. We used a 60W Reveal light bulb and it actually puts off a bright white light, which I am so happy about. Loving the bold statement this shade makes in the room! And for less than $40, the price was right too! 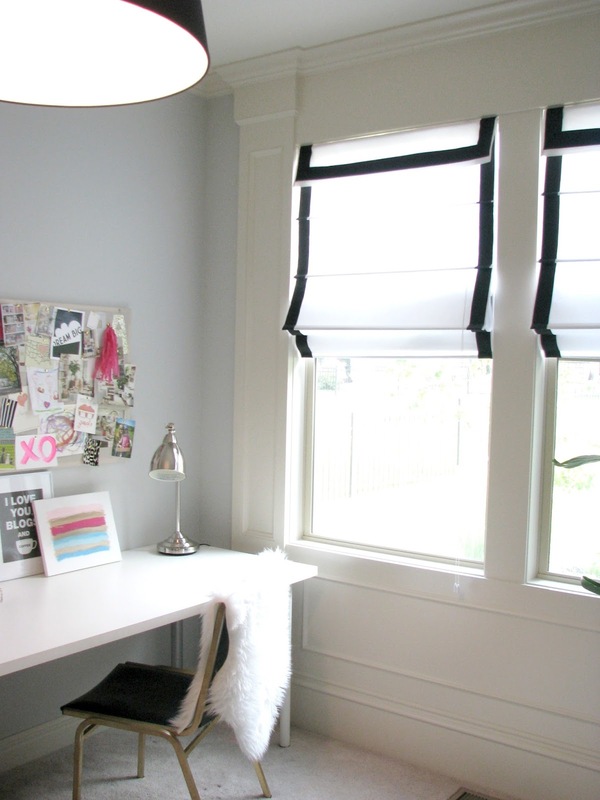 You can check out the DIY Trimmed Roman Shades here, and the fabric wrapped pin board here! After last summer's big anniversary Euro trip, we decided that this summer we would take it easy (on ourselves and our wallets) and do a week in Chicago. Both sets of grandparents live in Chicago, it is where Steve is from, and it is an easy road trip for us to make in the summer. My sister and her family are also back in the states from Singapore, so we got to spend a lot of time with them, and I met up with two college roomies. Here is a little recap of what we were up to! On our way to Chicago, we stopped through my hometown (Moline, IL) so I could meet up with one of my oldest and dearest friends. She has 3 girls, close in age, so we had quite the crew! We don't get to see each other often, so I cherish these moments. She is one of those friends that you pick up with right where you left off and I'm so grateful to have ever known her. She radiates true kindness and authenticity, which is just so refreshing. Once again, Drew was the only boy, which seems to be a theme a lot in his life! Steve keeps telling him he will appreciate it one day… :). 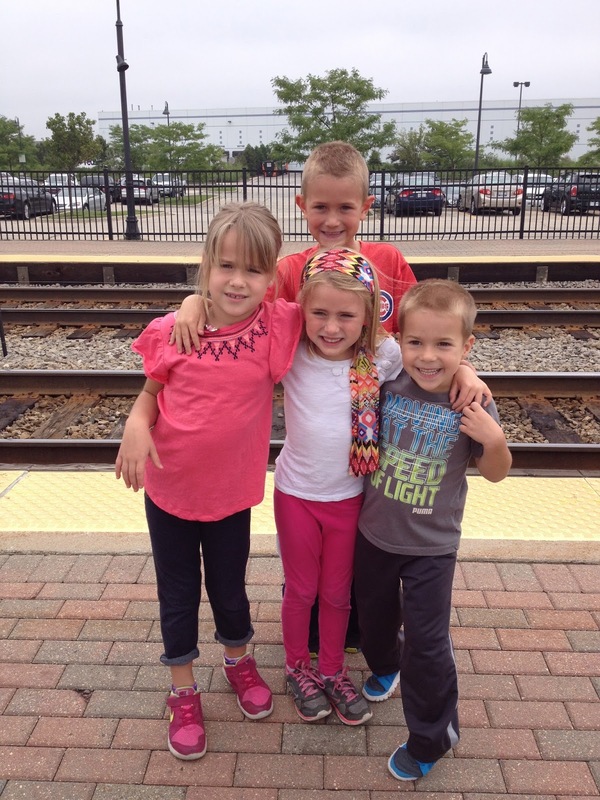 The cousins were reunited for several days! My sister and I are 15 months apart, we got married 5 months apart, and we had our first children within 8 months of each other. So, it goes without saying that these these four are lucky to have each other so close in age too! It was COLD and cloudy in Chicago, hence the jeans and sweatshirts. That Chicago weather would do me in, but I do live being in the hustle and bustle of the city! At the end of the week, Steve drove back home with the kids. I stayed, and a friend from KC flew in to meet me for the weekend. We ate, drank, walked around the city, talked without interruption, went to a Cubs game, and boated on Lake Michigan. It was glorious! 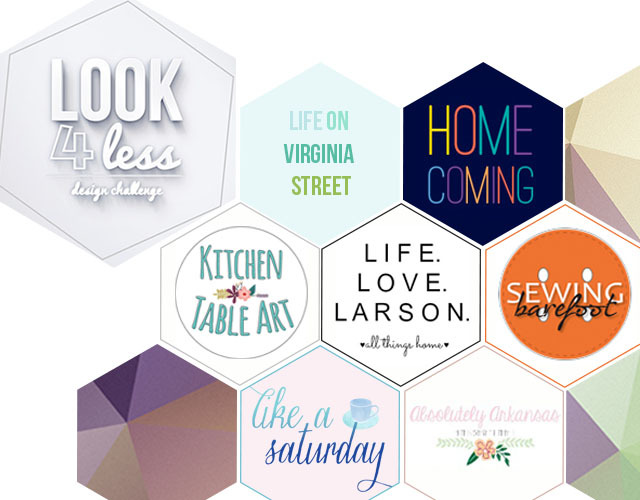 Welcome to another installment of the Look for Less Design Challenge, where 5 blog friends and I make a design-inspired piece for a fraction of the cost! 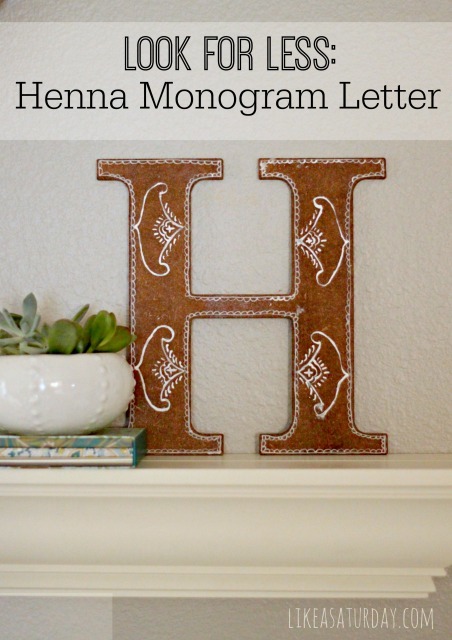 At the bottom of the post is a link up, where you can show off your own knock-off projects for a chance to win a $60 Target Gift Card! I have recently been putting our office/homework space together, and several of the projects are DIY (which is the way I like it)! 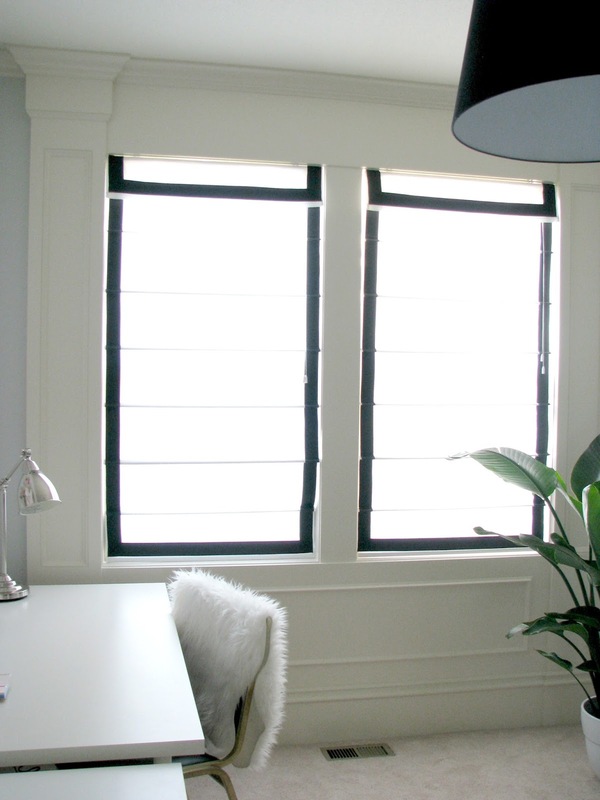 When it came to window treatments for the space, I decided to work with what we already had, and simply add a little something to make them pop. 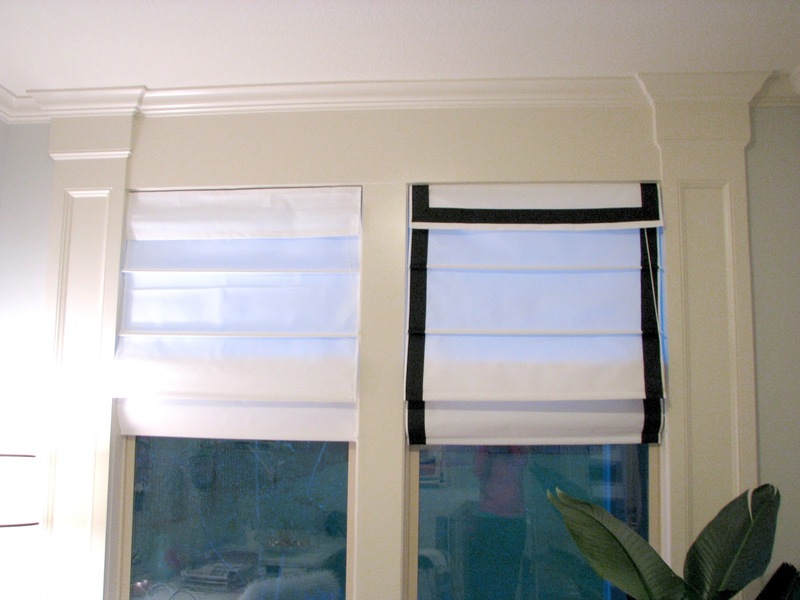 Cue my DIY Ribbon Trimmed Roman Shades (no-sew too)! 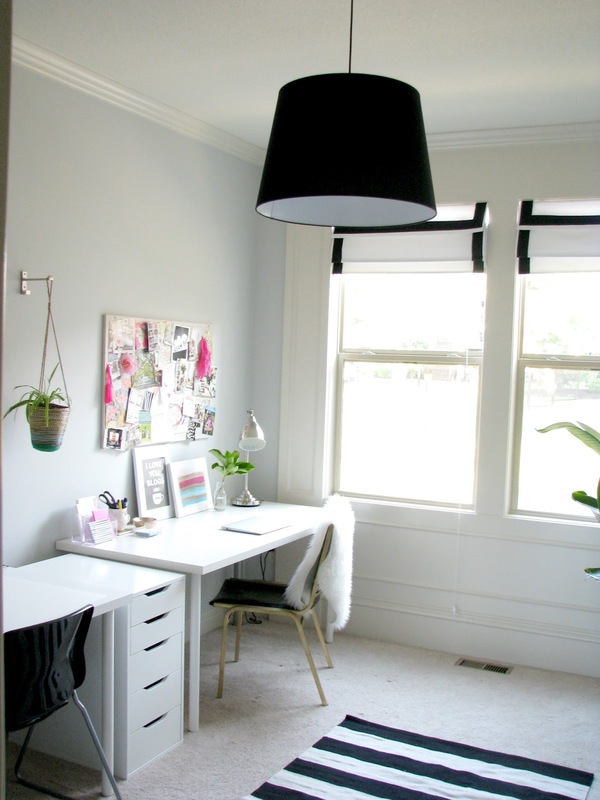 We purchased some inexpensive white roman shades from JCP online several years ago, and two of them found their way to the office space. Each roman shade was about $25. The windows in this space have pretty millwork around them, so I knew I didn't want to cover that. 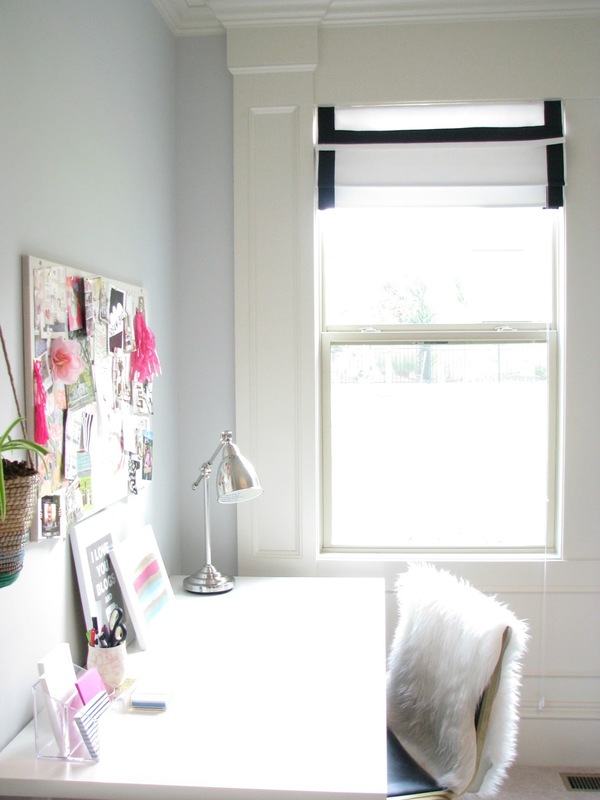 I think roman shades add just the right amount of light coverage with a softened edge. But...the plain white just wasn't doing it for me! I decided, after finding this inspiration image, that I would trim the shades with black grosgrain ribbon for a more custom look. Here is the inspiration photo from Pottery Barn. 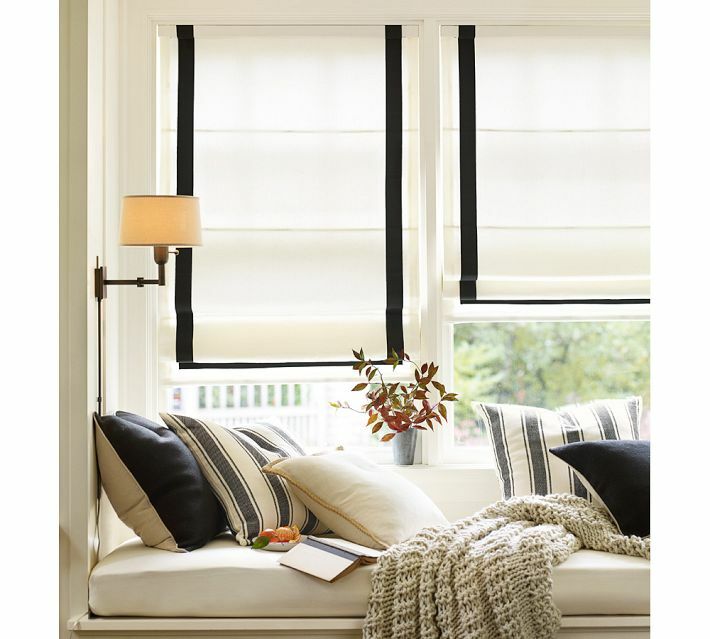 One of these roman shades, in the same size as my window, comes in at a whopping $194 (this is the sale price!). 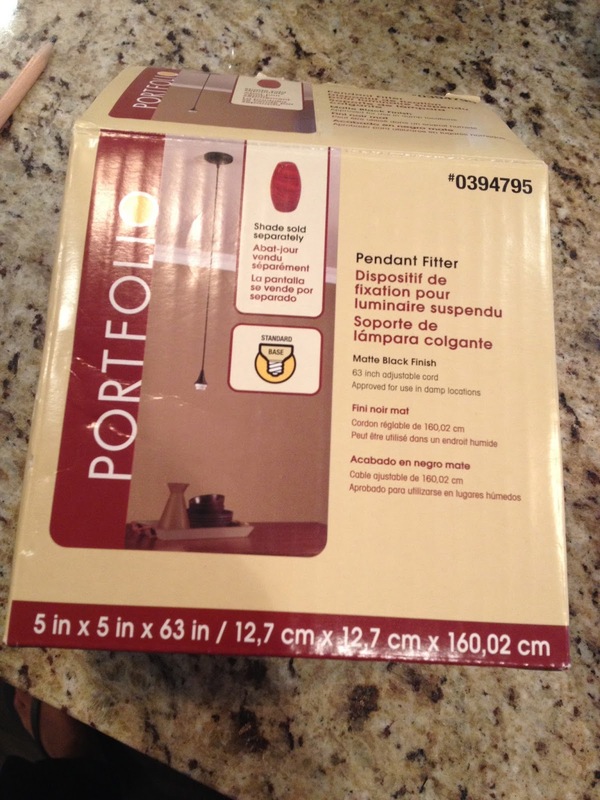 The original price for one roman shade is $229! 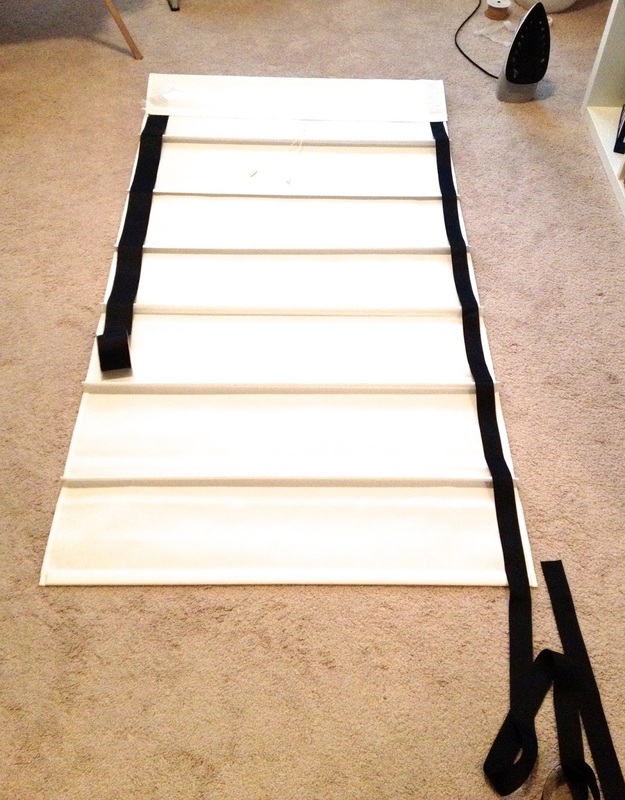 I was able to make each ribbon trimmed roman shade for $32, which includes the cost of the plain roman shade! 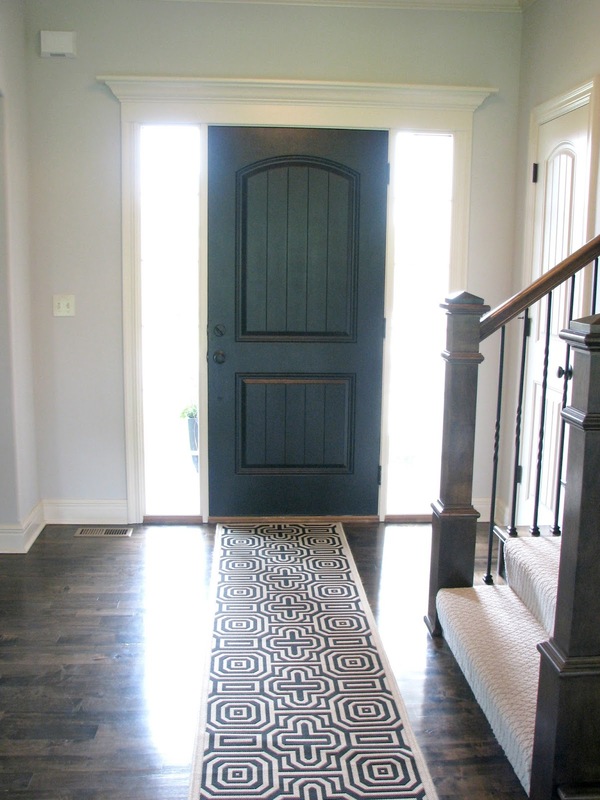 I love the classic pop of black against the millwork! The room is light and bright with pops of color. I think the black helps ground the space. 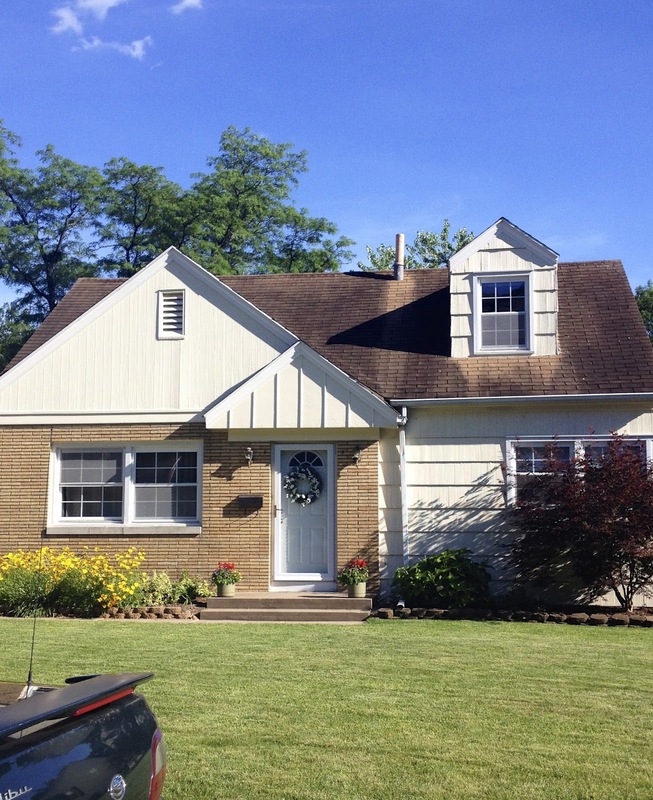 You can see here what a difference the trim makes with a before and after! 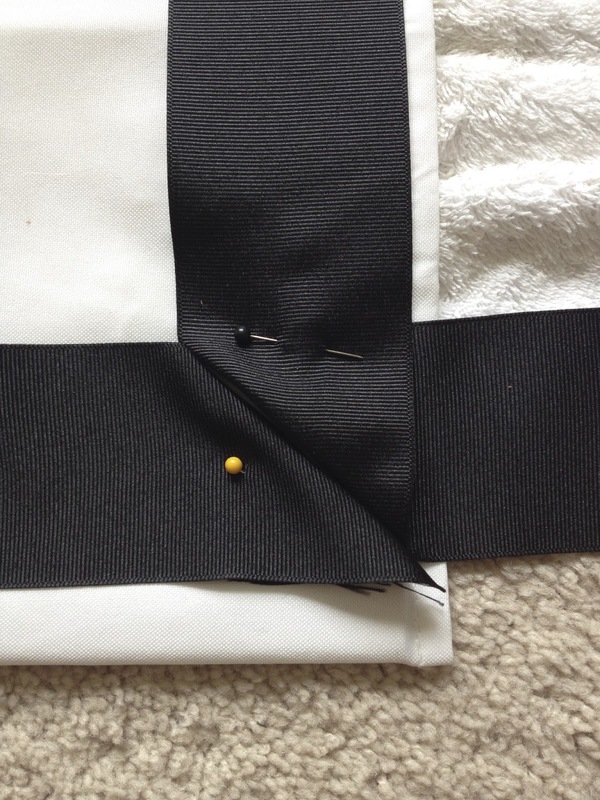 For this project, I purchased 2 1/2" black grosgrain ribbon from Joann's. I needed 4 rolls, each $2.99. I also purchased and used (2) rolls of no-sew iron-on adhesive that I found at Walmart for $1 each. The only other thing I used is my trusty iron! Make sure you use a hot iron and a wet cloth over the top of the ribbon/shade when using this heat & bond. It's really quite easy to use and will go quickly once you get the hang of it! The rolls of ribbon were long enough to reach down the entire length of my roman shade, making it seamless. I used the seam line on the side of the shade as my marking point to know how far in to secure the ribbon. No measuring involved here! 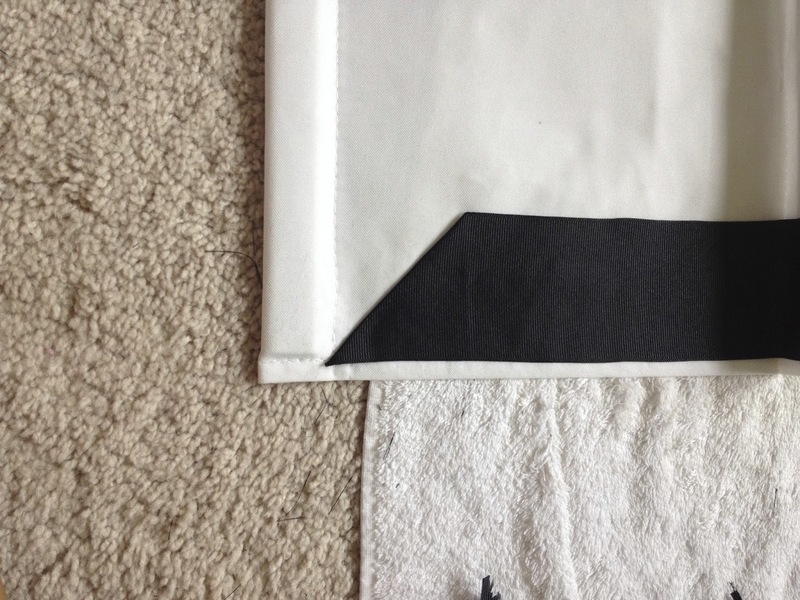 At the bottom, and around the top flap of the shade, I folded the corners over to make them come together at a 90* angle, and secured them with the no-sew adhesive. 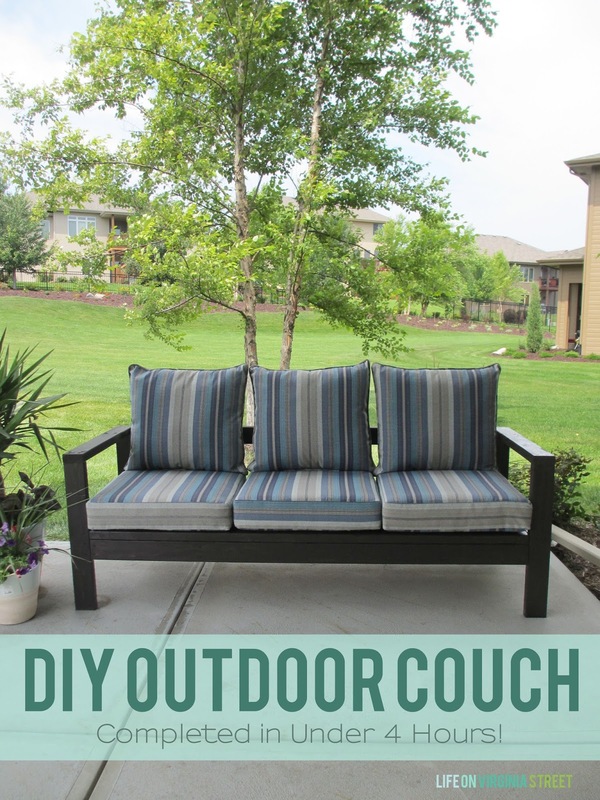 Following the seam along the side of the shade made it easy to knock this project out in a few hours. I took my time making sure the no-sew adhesive tape was very secure before hanging. I absolutely love the difference these make in the room! 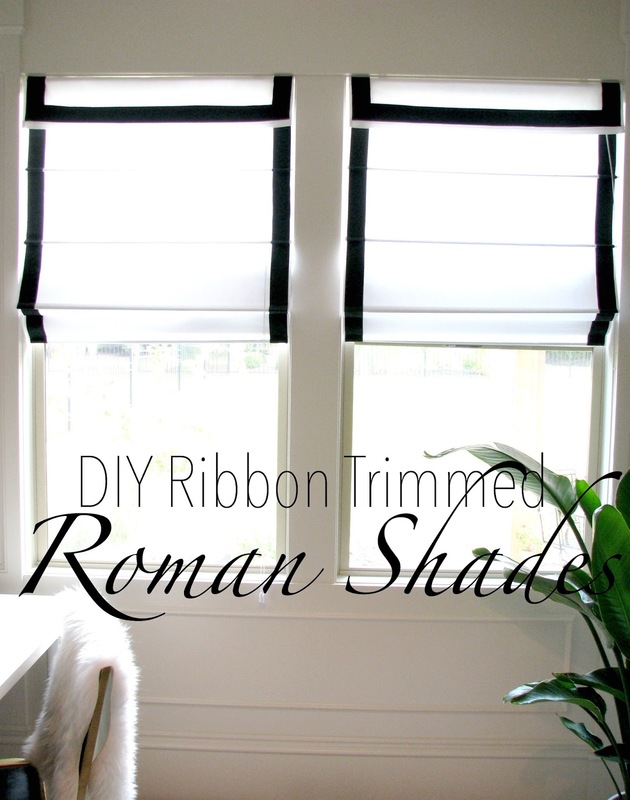 Total cost for (1) DIY Ribbon Trim Roman Shade was $32! The shade was $25, $6 for the ribbon, and $1 for the heat & bond tape. 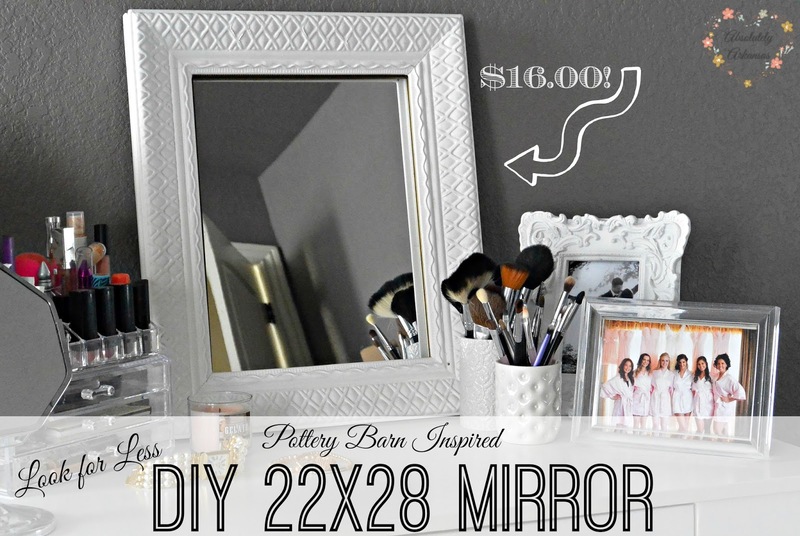 Mine are not perfect, but it sure beats the $229 price tag (for 1 shade) from Pottery Barn! Looking for more inspiration? 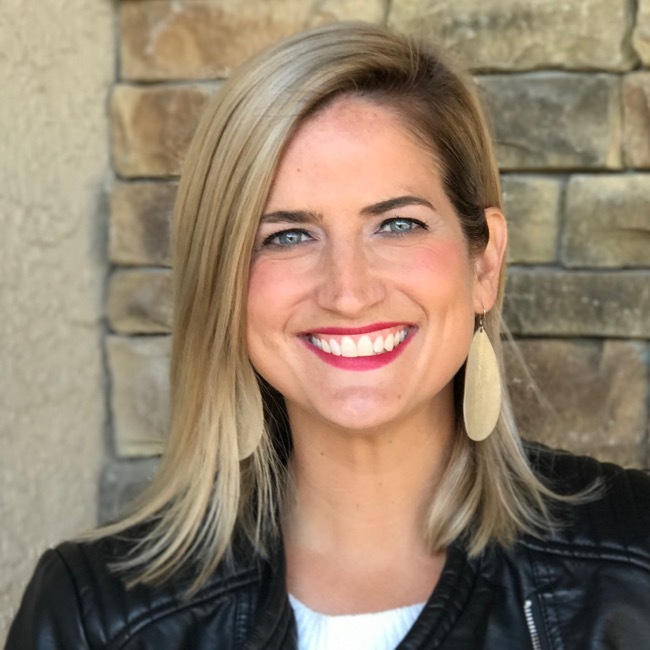 Check out what the other bloggers in the challenge have come up with! Click the link above the picture, and be sure to "pin" from the original post - thank you! 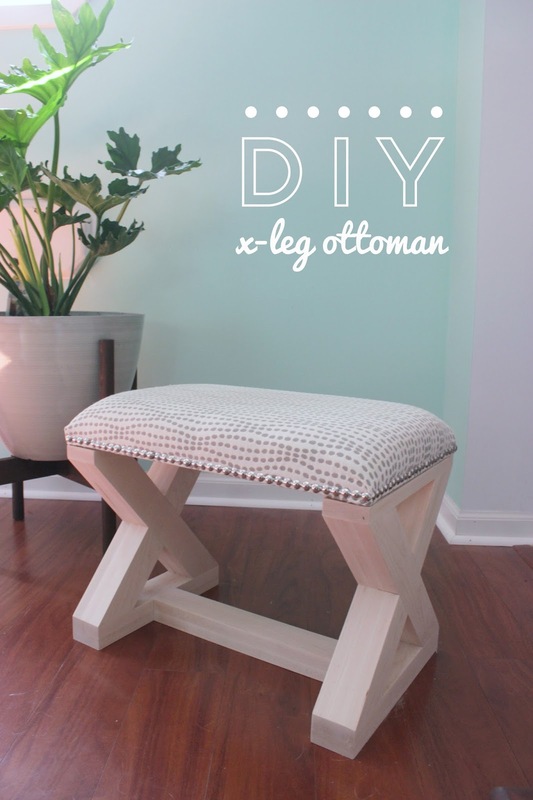 Now, it's your turn to show us your Look for Less projects! 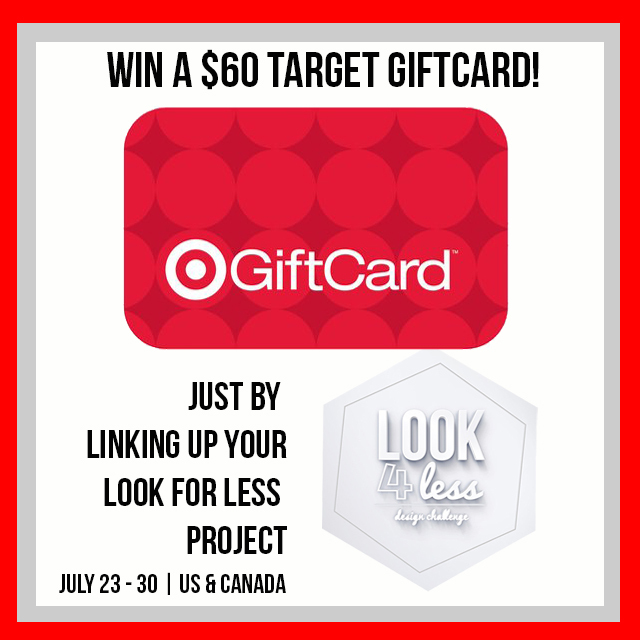 We will choose our favorite project when the link party closes and the winner will get a $60 Target Gift Card! 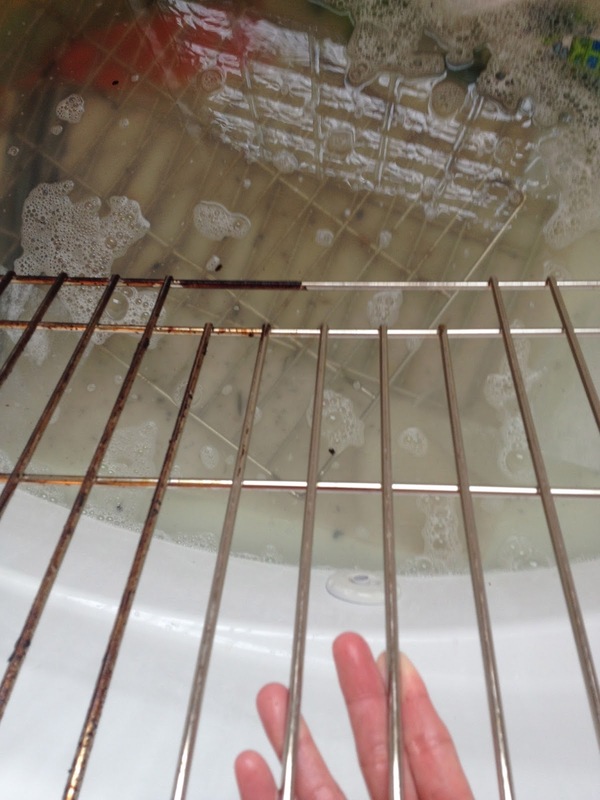 There is nothing glamorous or pretty about this post, but who doesn't love a sparking clean oven?! I cook a lot, and my oven was starting to look gross. I used the self cleaning option on the oven one afternoon, did a wipe down of the inside, and that problem had been solved. 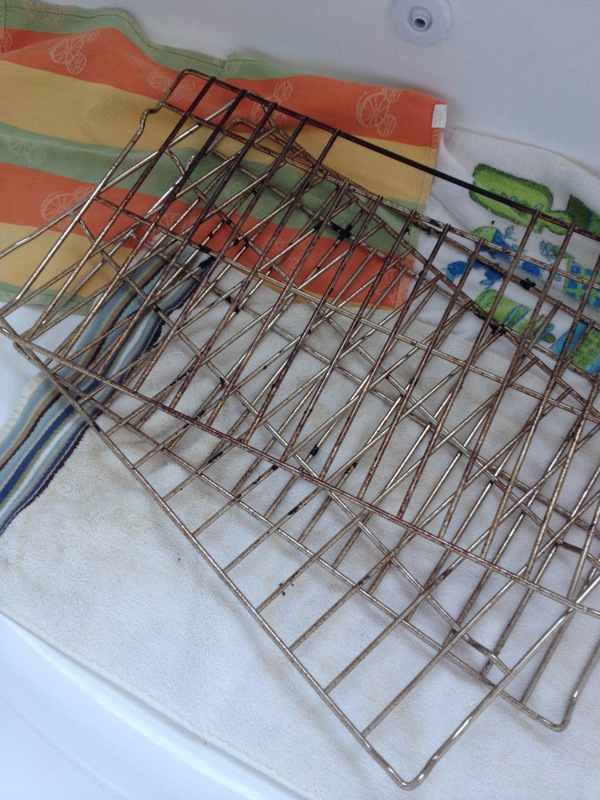 The oven racks also had a dirty build up on them. 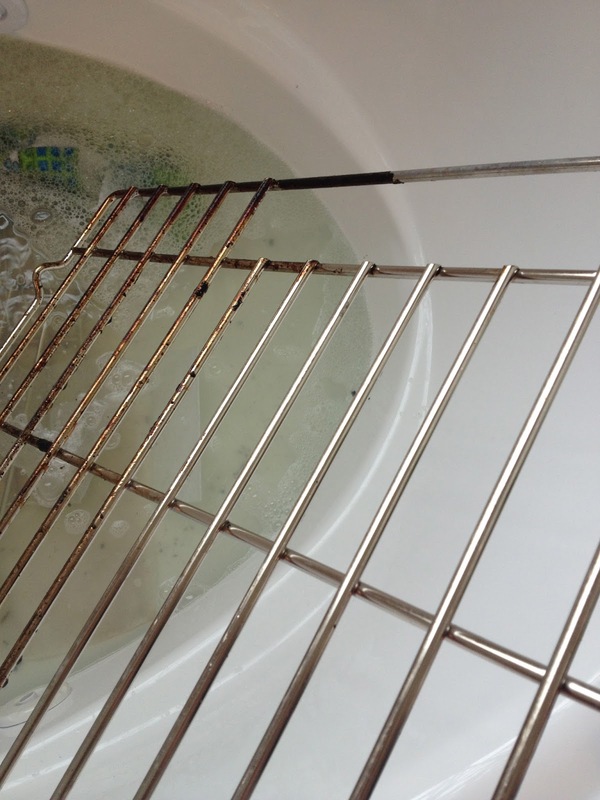 I searched online for the best way to clean the oven racks, and I found several different options. The one that seemed the easiest used dish soap, dryer sheets, and the bathtub! I used our large master bath for this project, as I had three racks to clean. I first lined the tub with old towels so I wouldn't scratch the surface. You can see here how badly this needed done! I filled the tub with hot water until the racks were covered and added 1/2 cup of dish soap and 6 dryer sheets right to the water. You let this sit overnight, or for several hours during the day (I threw these in around 9am, and cleaned them around 5pm). When you pull out the racks, they will still look dirty. No worries! The gunk has been loosened so much that is literally comes off as soon as you touch it. I grabbed the dryer sheets that had been soaking for hours and started wiping down the racks. This takes no time at all because it wipes right off. Here you can see the before and after. After all the gunk had been wiped off, I rinsed the racks under hot water and dried them thoroughly. It was amazing to me how gross those things were!! 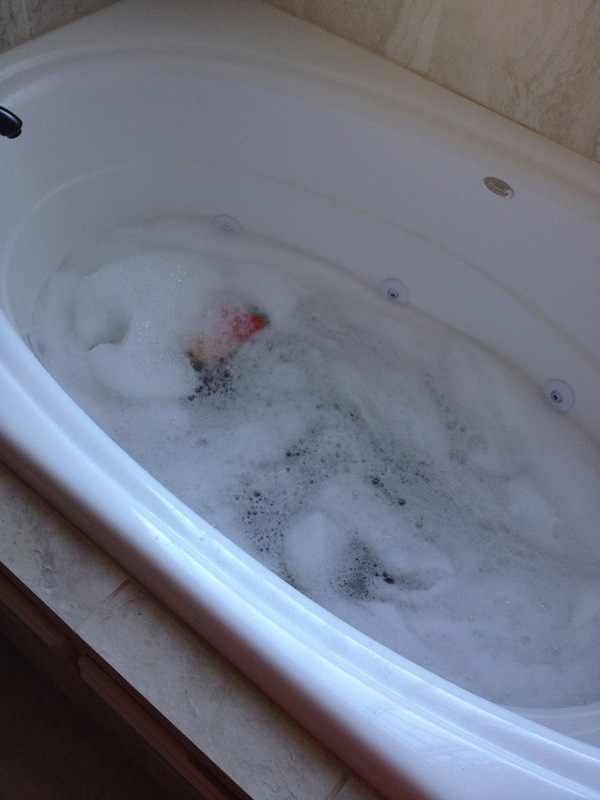 I cleaned my bathtub right away, and there were no scratches and no issues with staining, etc. I tried to take an after shot of my oven, but I couldn't get a good shot without a glare and reflection from the light inside! Take my word for it, my oven looks like new again! 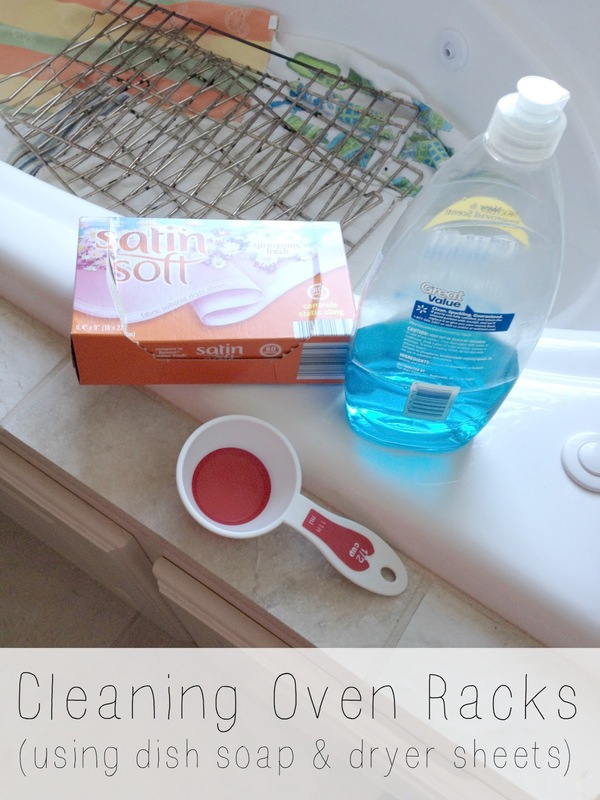 Check out some of my other cleaning related posts! Happy Friday, friends! I finally crossed off a project that has been on my to-do list for a loooooong time! The interior side of our front door is now glossy black and I love it as much as I knew I would. 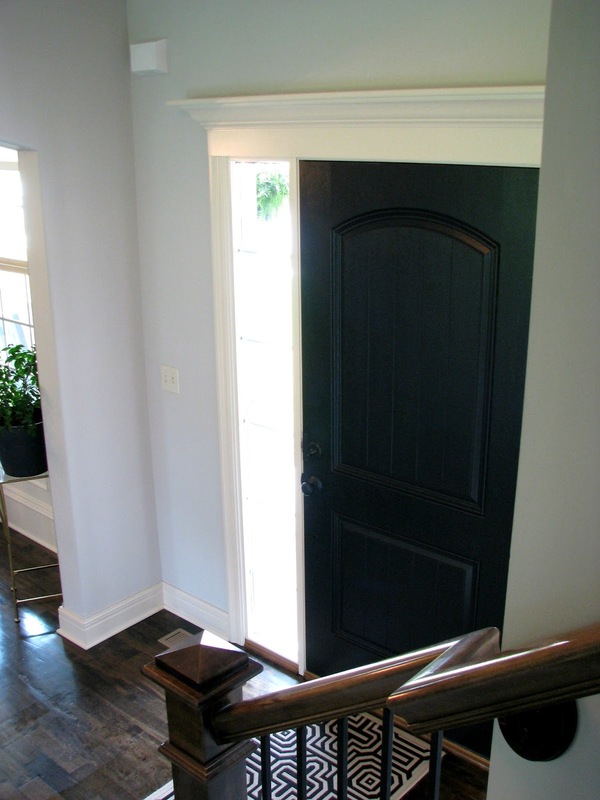 Now all interior doors that lead outside on the first floor are black. 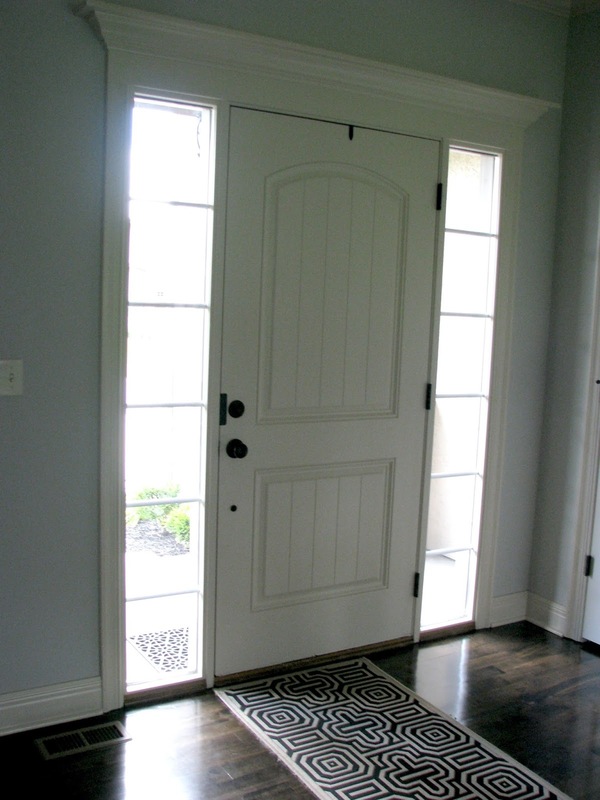 The mudroom door is black on both sides, as well as the door off the eating area that leads to the back patio. I'm thinking my front door is going to be black soon too, so stay turned for that! I eventually want to replace this door with one that is mostly glass, but other projects are taking precedence. Until that time, the glossy black makes it feel like new again! I love light and bright spaces and my first floor is full of light. I was a little worried that a black door at the front of the house might make the space feel dark, but I feel it just adds richness to the space. 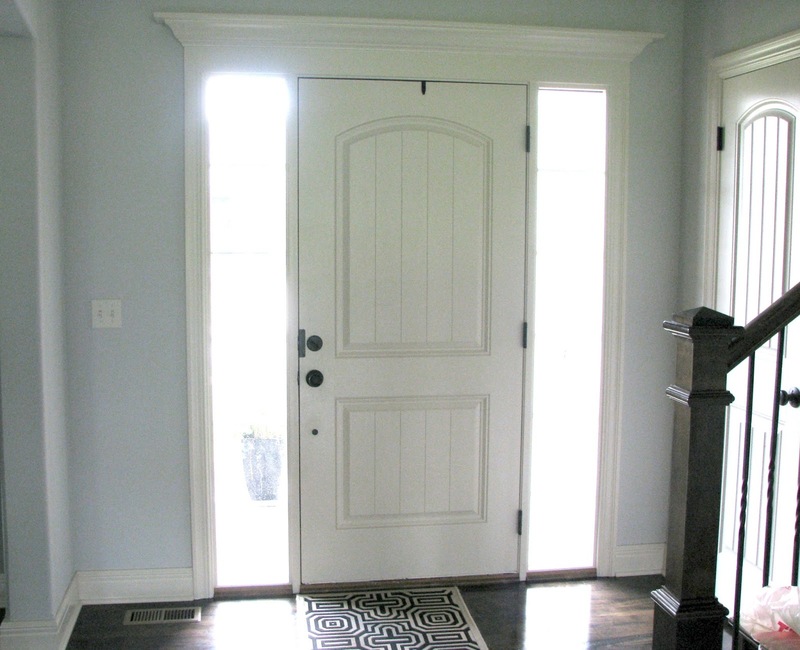 Here are a few shots of the door before, painted in our trim color, SW Alabaster. The wall color is SW Big Chill. 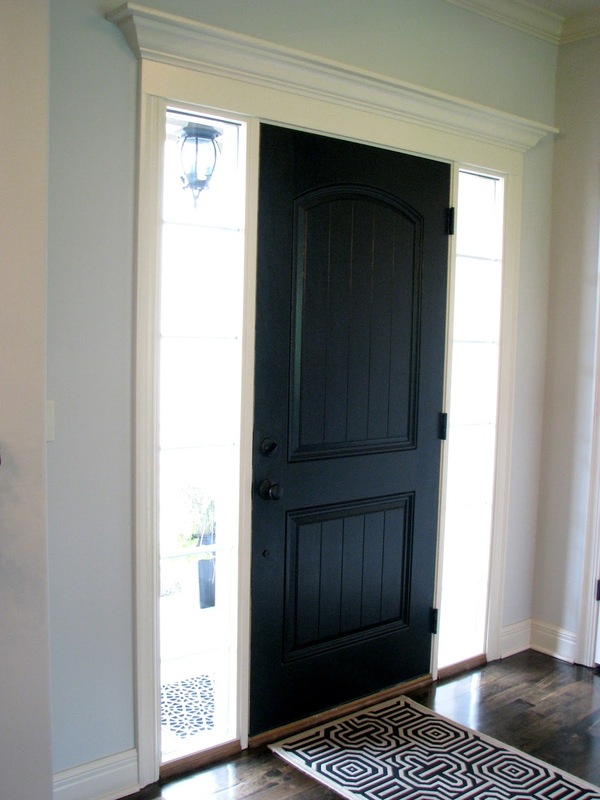 Now that the door is black, the moldings stand out and the door doesn't look so builder grade. I used paint that I already had on hand to paint the other doors, Valspar Ultra Paint + Primer in Semi Gloss. It's an exterior paint so it's super durable and super glossy, which I love. The color is Dark Kettle Black. I used a foam roller, applied 3 coats, allowing drying time in between coats. I use a small craft brush to fill in around the door handle/lock. Always make sure to start with a clean surface and wipe the doors down first! We were invited to a backyard luau party at our neighbor's house this weekend, so I decided to make something "themey" to share. 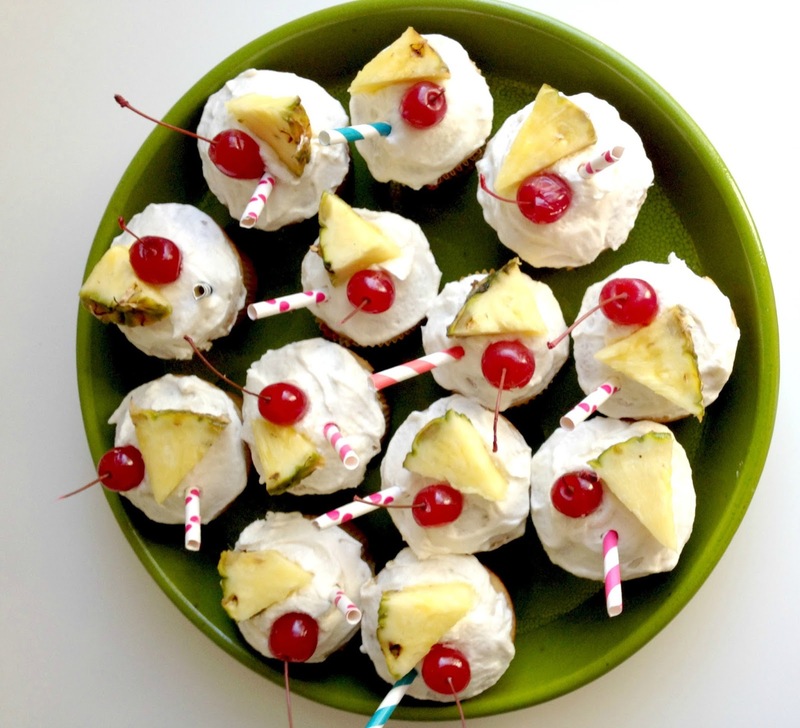 After searching on Pinterest, I decided on pina colada cupcakes. I'm not much of a pina colada drink person, but I figured they would be festive and pretty, and I think most people enjoy anything coconut! Let me tell you, these cupcakes were so dense and delicious! Coconut milk and pineapple juice in the batter combined with coconut extract in the frosting, made these so flavorful and moist. They just smelled like the beach! I garnished the cupcakes with maraschino cherries and pineapple triangles, and a little paper straw, but these would also be cute sprinkled with a little toasted coconut. 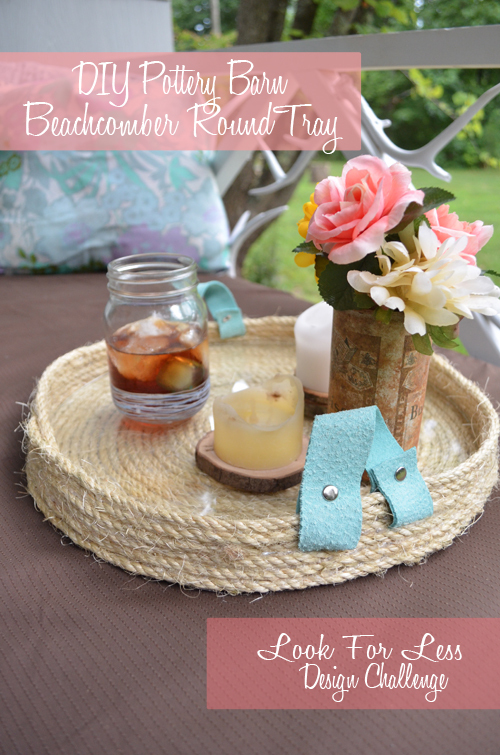 I HIGHLY recommend you make these for your family and friends! 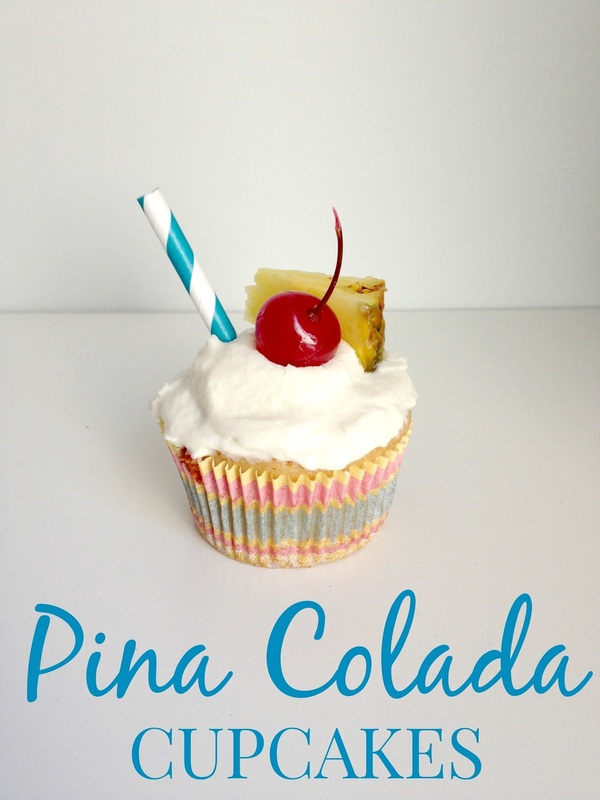 There are a lot of pina colada cupcake recipes out there! I went with this version from Sally's Baking Addiction. Preheat oven to 350*. Mix flour, baking soda, baking powder, and salt in a bowl. In a separate, larger bowl, melt butter and whisk in both sugars. Then whisk in egg, pineapple juice, coconut milk, and vanilla extract. Start adding dry ingredients to the wet ingredients a little bit at a time and combine until no lumps are seen. Fill cupcake liners with batter and make for about 18-20 minutes (cooking time with depend on how full you fill your liners). Set cupcakes aside to cool before frosting. Beat butter until smooth, about 2 minutes. Add powdered sugar, cream, and both extracts and beat on low for 1 minutes, and medium speed for 2 minutes. This frosting will turn our light and whipped. Make sure your cupcakes are cooled before frosting! 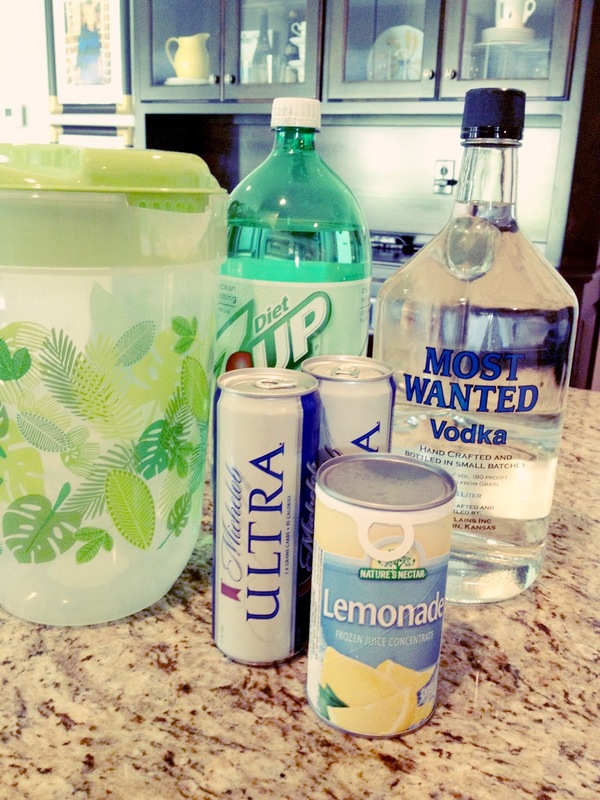 I garnished mine right before taking them to the party. The luau party was so much fun! We stayed out way, way, way too late and had a lot of laughs! 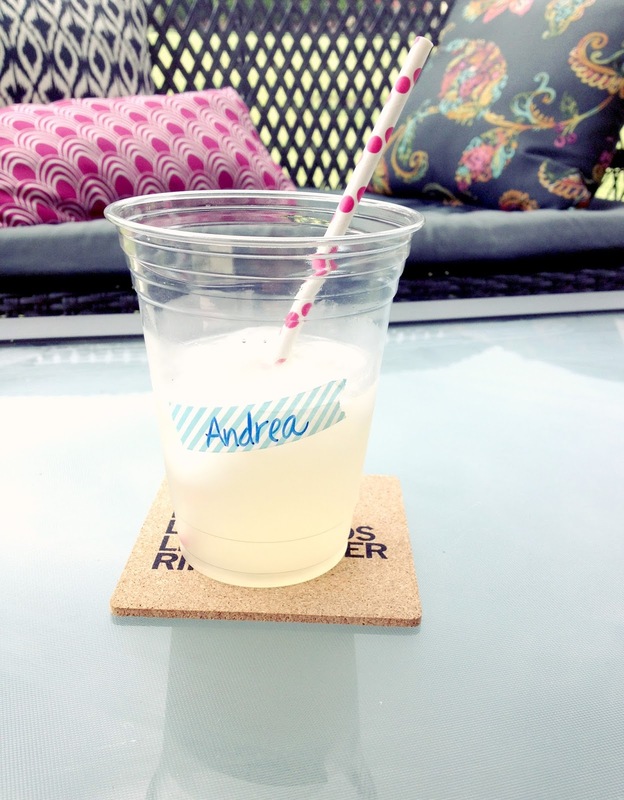 Hope your weekend was fabulous and cheers to the week ahead!